When trying to sell a house, sellers often must deal with issues that can be fixed, as well as those that cannot. Luckily, soiled tiles and carpets can be fixed with just a little professional cleaning help. Before you open up your home to prospective buyers, make sure your home is looking its best by treating these fixable problems. Are you looking for the right tenant for a house or apartment rental? If so, you may be challenged to clean up a previous tenant’s mess while preparing the property for habitation by a new tenant. The following guide explains how a professional cleaning service can help you get your vacant home ready for a new tenant. Your Basement Is Flooded. Now What? There are few worse feelings for a homeowner than heading down to the basement and seeing a deluge of water taking over the room. If you find yourself in this position, you will want to act quickly to limit the damage. Here are three steps you should follow upon finding flooding in your basement. If you are a homeowner with a child or a pet in the house, it's only a matter of time before something gets splattered on the carpet in your living room. Truthfully, even some adults are prone to have accidents from time to time. If you suddenly find yourself staring at a mess on a carpet in your home, you will want to act quickly to limit the damage. 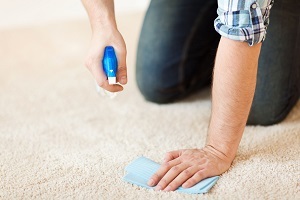 Here are 3 common causes of carpet stains and some tips on how to get them under control. For best results of course, you will want to hire a professional carpet cleaning service.